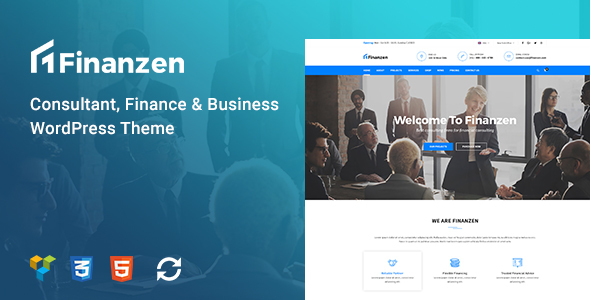 Finanzen is an incredible consultant, finance and business WordPress theme, perfectly designed for Financial companies, Financial firms, Investment, Insurance, Accountant, Tax-related or any kind of business. The brilliant theme covers you all neccessary elements and pages what a professional financial site need as project pages, shop pages, blog pages, about us pages and so on. Plus, the theme is powered by Visual Composer (save $34) and Slider Revolution (save $25) allowing users to set up the business site easily, conveniently and efficiently. Now please check Finanzenâ€™s full features below! Forum.We encourage you to post all your questions concerning to our template there as your questions may have already been answered or may be of help to other people that have also purchased the template. Blog Yolotheme or follow us via social networks.